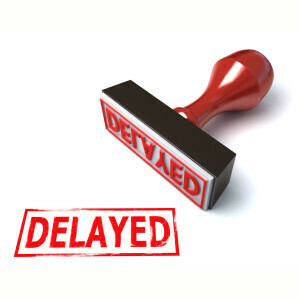 The FDA has delayed their decisions on ocrelizumab; not the sort of news people with MS want to hear days before Christmas. However, I have been assured the delay is simply to buy the FDA more time to assess new data. We all remain confident that the FDA will license ocrelizumab for both relapsing-forms of MS and PPMS. Press release: Roche announced today that the FDA has extended its review for ocrelizumab until the 28th March 2017. The extension is the result of the submission of additional data by Roche regarding the manufacturing process of ocrelizumab, which required additional time for FDA review. Roche have stated that the extension is not related to the efficacy or safety of ocrelizumab. If ocrelizumab gets a PPMS license it will be prescribed for SPMS as well. There is no difference between the pathology of SP and PPMS; same disease. Then why two names? There needs to be a consensus on the terminology. It only confuses patients. In this point of view siponimod will be PP- and SPMS drug. There will need to be a SPMS trial for NICE to say yes. Otherwise, no funding. To Dr. G: In your opinion, if ocrelizumab gets approved, should we instead prescribe only rituximab because it is essentially the same drug and is less expensive and has much more safety data?